It happened late in autumn of 1924 in a special-purpose camp on Solovetsk islands. A sudden violent storm hurled out into the open sea a boat containing several prison inmates and the camp’s most malevolent guard. The guard’s name was Suhov. The prisoners and soldiers gathered on shore were convinced there was no hope for the boat’s survival. Peering through a pair of binoculars they could see how there, in the distance, a small black spec kept reemerging and then disappearing again… The people were fighting the elements, but the odds were against them. And the elemental forces of nature were gaining the upper hand. Twilight fell. On its heels came a cold, windy night. However, nobody left the quay: people would go off to warm themselves, only to come back later. There was something bigger than them all that united them at that moment that removed all the barriers between them. Even the special task officer with the binoculars. People spoke in muted whispers and whispered their prayers to God. They believed, and at the same time were torn by doubts. However they all realized that without God’s will the sea wouldn’t ease its hold on its victims. This courageous fisherman was Archbishop Hilarion Troitsky, one of the New Martyrs and Confessors of Russia, canonized a Saint in the year 2000. In the early 20th century truly terrifying tragic events befell our country and the Russian Orthodox Church. Russia experienced the horrors of the bloody World War I and then the so-called October Socialist Revolution of 1917 and reprisals the likes of which no country ever went through. Millions of people perished in those years, not only at the hands of the foreign enemy, but at the hands of their own persecutors-God-fighters. Among those who were killed or tortured to death in the years of persecution were a great many both laymen and clergy, whose sole “crime” was their staunch Faith in God. Those were people who had the spiritual strength to sacrifice their lives in the name of Faith in Christ the Savior. In the host of Martyrs of the Russian Orthodox Church Archbishop Hilarion Troitsky occupies a special place. From 1923 till 1929 he was an inmate of the concentration camp on Solovetsk isles. His fight in the name of the Orthodox Church, its holiness and unity in those dire times cost him his freedom and, ultimately, his life. The Archbishop Hilarion lived just 43 years. This man was indeed remarkable, the very name testifies to his nature: translated from Greek ‘Hilarion’ means ‘quiet, gentle, cheerful’. Tall, clean-limbed, with stunning blue eyes, a resonant voice, always buoyant and inspired, he produced the impression of a Russian epic hero possessing remarkable strength and intellect. His noble looks mirrored his noble, pure soul – and there lay the source of his powerful personal charm. He was a great popular favorite. Among the clergy, too, he commanded respect and authority; for his brilliant mind and staunch faith they called him “great”. 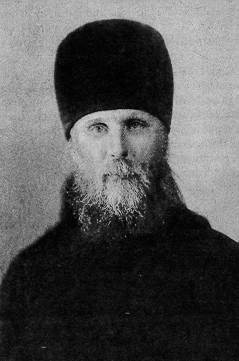 The Reverend Hilarion (in secular life Vladimir Troitsky) was born in 1886 to the family of hereditary clergymen. He lost his mother at an early age. The children in the family were brought up by his mother’s sister Nadezha, who was a teacher. He learned to read at an early age. At seven Vladimir and his younger brother set off on foot from their native village, over 200 kilometers away from Moscow, to the capital, to get an education there. To remain ignorant was the fate the clergyman’s son feared most in life. Since early childhood the church became a source of joy for him. When still a boy Vladimir took part in the service, singing with the choir. And when the time came for him to study, he did so with flying colors. Upon finishing the church school and seminary at home in his native Tula gubernia, he was sent to further his education at Moscow’s Theological Academy. In the time of his studies at the Academy Vladimir Troitsky was twice conferred awards of the Metropolitan of Moscow Makarius. He was also acknowledged the best student in the 50 years of the Academy’s existence. For outstanding achievements he was twice sent abroad. He visited the Christian East and West. In 1910 he graduated with honors from Moscow’s Theological Academy. He got a degree of Doctor of Theology for his fundamental effort “Essays on the History of Church Tenets” and became the youngest teacher at the Academy. Very soon he acquired popular love and respect. The students of the Academy raved over the lectures given by the young Professor. The invariable distinctive feature of these lectures was their connection with modern times. “Hilarion had a beneficial effect on us all with his remarkable personality: so direct, powerful, authoritative when it came to defending his convictions, with his engaging speech, and, finally, irrepressible energy, love of life. In March 1913 very important events occurred in the life of Vladimir Troitsky: he took the vows and received the name of Hilarion. Some people arrive at monkhood after passing through a void of personal sin. Only after experiencing the horror in the face of terrifying reality do they step on the road leading to true penitence. Hilarion Troitsky had a quite different road to monkhood. This was a man irreproachable in his actions. He was characterized by a special striving for perfection. Asceticism was the customary way of life for him. Sin aroused torment and anguish. Already due to his native purity he was “an earthly angel and heavenly man”. He never once doubted his own vocation in life to be a monk, however, for those around him his choice seemed incomprehensible. His outward beauty and spiritual gifts, cheerful and jovial nature confused many regarding his inner world and his priorities in life. An outstanding theologian, talented man, suddenly he decides to take monastic vows: all those who knew him deemed it puzzling. However, a narrow cell and the thorny monastic path were a natural choice for Hilarion. His pure soul, which sought to escape sin all of its life, avoiding the temptations of the century, wished to devote itself to God forever. He carried this quiet joy in his heart through all of his life. In monastic life Hilarion Troitsky sought to find more conducive conditions for serving God. “Hilarion conducted the Holy Liturgy with great beauty and solemnity. There was something so superior, lofty and wonderful in the way he read the Gospel, pronounced the acclamations and prayers. He gave all of himself to the service, putting his heart and soul into it, as if it were the principal task of his life.” He set the beauty of the service above all earthly beauty. Hilarion liked to repeat that not one opera, not one theatre production can arouse an interest even slightly comparable to that generated by a church service. However, Hilarion was not only by calling a monk, a pedagogue and teacher. When the time came, the Lord summoned him to the highest possible service to Church and society. This new turn came about in 1917. At God’s will in those terrifying years of bolshevist persecution against the Church Archbishop Hilarion was destined to become the greatest helpmeet and aide to the persecuted Patriarch Tikhon. A difficult task lay before the Patriarch – in the period of raging persecutions against Christians and the Russian Orthodox Church he had to somehow preserve the unity of the Church. At the time there emerged within the Russian Orthodoxy an oppositional movement — so-called “renewal”. The ‘Renewalists’ set themselves the task of adapting the activity of the Church to the altered political situation in society, and ideologically find a way to join ranks with soviet powers. In individual regions there appeared groups of reformers. Each of these had its own program of church transformations, directed towards a radical renewal of the Russian Orthodox Church. Thus, a temporary split occurred in the Church. The achievement of Archbishop Hilarion, helpmeet of Patriarch Tikhon, lay in the fact that despite the revolutionary turmoil, the Church succeeded in overcoming this split. The powers-that-be didn’t forgive the Archbishop his struggle against the split in the Church and his active attempts to cement the unity of the Russian Orthodox Church. Just as they couldn’t ignore his devotion to Patriarch Tikhon. In November 1923 the Reverend Hilarion was arrested and sentenced to three years in concentration camp. He was sent to Solovetsk Isles. Archbishop Hilarion stoically accepted all the hardships and privations thrown his way during his incarceration in the camp. He managed to preserve all the good kind qualities that were always his distinctive features. His love for all people, sincere interest and attentive concern for everyone and general amicability were amazing. He was the most popular person at the camp. He was loved and respected by the generals, officers, students and professors; he was profoundly respected by the thieves and criminals, too. Everyone simply knew him for a good and respectable person that it was impossible not to love. He always spoke with respect to everyone, treating them as an equal. The Venerable Hilarion could discern the Lord’s image in every person. In return, people showed him love and sincere respect. Despite the fact that he was an outstanding person, he was at once simple and unaffected, totally accessible to one and all. Everyone found it amazingly easy to talk to him. 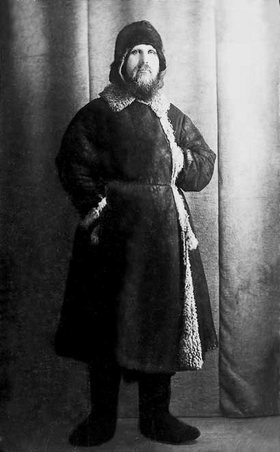 When his term of imprisonment reached the end, the authorities added him a new term, and sent him to a settlement in Central Asia. However, the Venerable Hilarion never reached it. He contracted typhoid along the way and, in grave condition, he was taken to one of the prison hospitals of Leningrad (now St.Petersburg). He was beyond help. The angel of death was already awaiting the suffering martyr. And with these words the Lord Jesus Christ’s confessor passed away. This happened on December 28th, 1929. The authorities laid down the condition that there should be no pompous solemnity during the burial service and no speeches at the grave. However, Bishop Nikolai read the Beatitudes in such a way that all those present wept. Each one of the Beatitudes was fulfilled by the Venerable Hilarion, and this is borne out by the entire story of his life. Thus, the Archbishop Hilarion was delegated to Eternity, this man of epic strength of spirit and body, who laid down his life for the Church. In the year 1999 the sacred relics of the Holy Hilarion were transferred from St.Petersburg to Moscow and placed in the church of the Sretenski (Meeting of the Lord) Monastery. At a solemn service the Patriarch of Moscow and All Russia Alexi II read out the decision of the Russian Orthodox Church to canonize the Saint and lit an icon-lamp above the shrine with the holy relics. 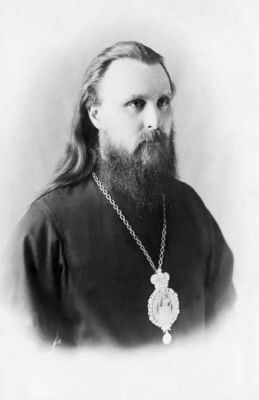 At the jubilee Episcopal Council of the Russian Orthodox Church in the year 2000 Reverend Hilarion was canonized as a New Martyr and Confessor of Russia. Even after his demise the Holy Hilarion helps those who turn to him seeking his aid. Brethren of the Sretenski Monastery are gathering all material referring to instances of blessed healing and other miracles worked by prayers to the Saint ever since his sacred relics found their resting place at the Monastery.